Sunmi released more teaser images just yesterday, but the teasing does not end there. 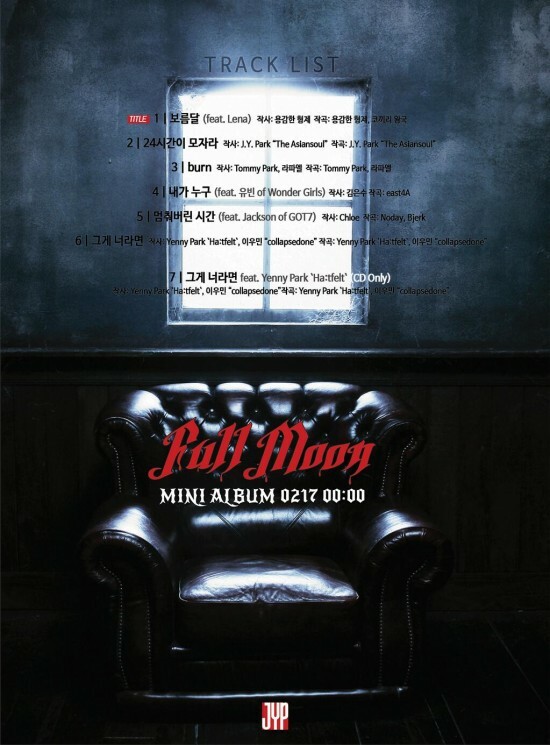 Earlier today, JYP Entertainment revealed the tracklist for her comeback album 'Full Moon,' revealing there to be a total of 7 songs, some of which feature other JYP artists like Lena (member of JYP's new girl group), Wonder Girls' Yubin and Yenny, and Got7's Jackson. It was also revealed that her Title track was produced by Brave Brothers and features Lena.